Isabel joined the Mission:Slimpossible challenge and was eager to get started. She was committed to attending 3 nights a week as often as she could and emailed me whenever she had a question or wanted to know what more she could do to see results. I loved receiving her emails and finding out that her kids were getting in on the at home workouts and holding her accountable as well. People like Isabel are why I love what I do. Doesn’t make excuses and keeps reminding herself that it takes time to see results. She knows quick fixes don’t work and true weight loss takes time. Congratulations Isabel on your success with the program and I look forward to seeing you in the next session. 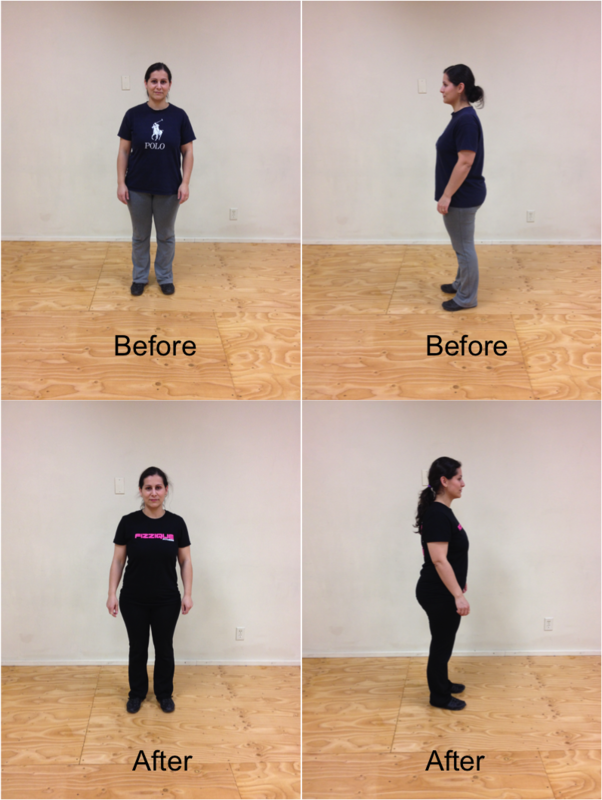 Isabel lost 5 inches, 4.6 lbs and 3.5% body fat. I am a mother of 3 and i have struggled with my weight for the last 6 years. My youngest are only a year and a half apart. I had no time in between to lose any weight from my second pregnancy and after my third I had what felt like 3x the extra weight that I had before even having any kids. Everything I have tried has only been temporary. The most effective way I was loosing any weight was going to the gym, but that didn’t last long. There was no motivation to go. Sometimes i was hearing myself say I can always go tomorrow and then it turned into a week and a week into a month. With such a busy life I gave up going to the gym and the pounds came back. Taking the kids from soccer to karate to swimming I had no time for myself so I would sometimes skip meals or eat late or eat on the go. I got to the point where I had to make a choice; make the change for the better for myself or keep going downhill and feel miserable. I saw all the great reviews online for Alexis’ bootcamp and decided to give it a try. Why not? What did I have to loose? A couple of pounds is better than nothing. I had to start somewhere. I did the slimpossible challenge with the meal plan and loved it!! I lost pounds, lost inches and felt great about myself. I felt motivated all the time. Every class is different. My favourite was the kickboxing. I made myself accountable to go and met a great group of ladies. The meal plan is simple and easy to do. I also have Alexis’ workout DVD which I use 3x a week. The 10 minute workouts are awesome and help me to keep the weight off. This has been a great experience and I can’t wait to start another session.